Spray the nut with penetrating oil, such as Liquid Wrench, and let the oil sit for 10 to 15 minutes to penetrate the threads of the bolt. Then use a wrench to loosen the nut. Hold a hammer against one side of the nut and hit the other side with a second hammer. That should loosen the nut so that a wrench can remove it. If the nut is badly rusted, pour hydrogen peroxide on it to dissolve the rust. If that doesn’t work, saw through one side of the nut with a hacksaw. Then loosen the nut by twisting it with an adjustable wrench. If the head of the bolt is buried in your work piece, use a hacksaw to cut a groove in the top of the bolt. Stick the end of a screwdriver into the groove to hold the bolt steady while you loosen the nut. A nut-splitter is a handy tool to remove nuts. It has a chisel inside its head that is screwed into the nut to pop it off. 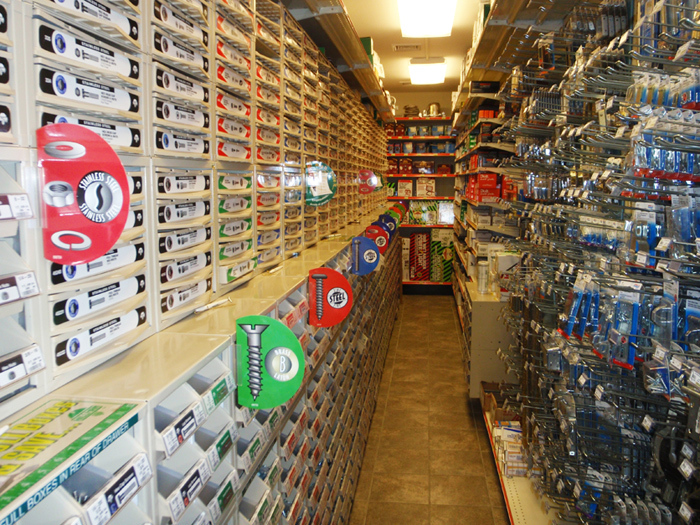 As you can see, Woodstock Hardware has a large selection of common and specialty fasteners to help you with almost any project. 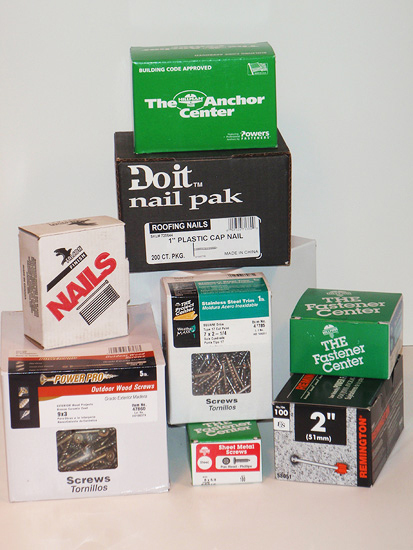 Woodstock Hardware has one of the largest selections of fasteners in the area, with thousands of nails, screws, nuts, bolts, and specialty fasteners. Find fasteners for an array of projects, such as screwing down cedar deck boards, anchoring a board to a concrete wall, replacing the bolts in your engine, or installing new cabinet knobs. You can choose to buy two or three screws or one bolt and wing nut if that is all you need, however, our fasteners are stocked in box quantities to meet the needs of our professionals, as well. And if you need to remove stuck or broken fasteners, you can find anti-seize for locations where it is necessary to remove the bolt and lock tight for when the bolt needs to be permanent. Equally as important as our large selection of common and specialty fasteners, Woodstock Hardware has the technical expertise to help you install or remove any fastener.